As the capacity of tape media and hard drives continues to grow, so does the technology needed to safely and accurately track the data residing on them. Having a firm grasp of what's in your custodial control and where it is at all times is becoming a pivotal part of data center management. 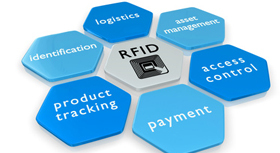 To help assist with this difficult task, RFID is finding its way into the data center for tracking and auditing both assets and tape media, while also providing assistance with process flow and more robust security. At American Eagle Systems, we understand the importance of compliance when managing numerous assets across many platforms. From tracking small numbers of assets to auditing large server farms with extensive equipment, AES provides the solution that is the most cost effective for meeting all requirements. We are at the forefront of RFID technology in the data center environment, providing everything from label printing, to asset tracking software and hardware, to physical inventories and audits. 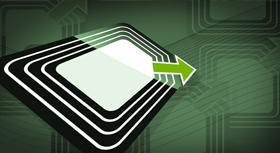 Whether it's racked servers, routers and switches to hundreds, thousands or tens of thousands of pieces of tape media, there is no better partner in RFID than AES for tracking, locating and managing these assets. We offer solutions from industry leading partners that will increase your productivity, reduce your cost and mitigate risk while iur project managers can assist you in implementing the best RFID solution for your business.